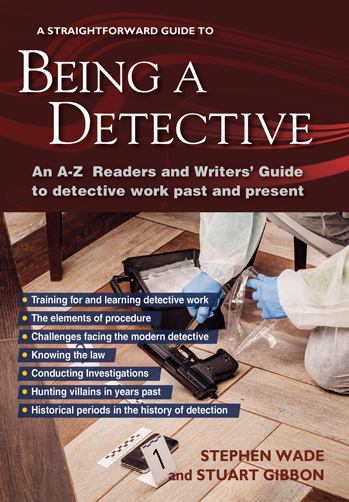 This book will prove an ideal companion to the Crime Writers Casebook when researching and writing crime fiction. 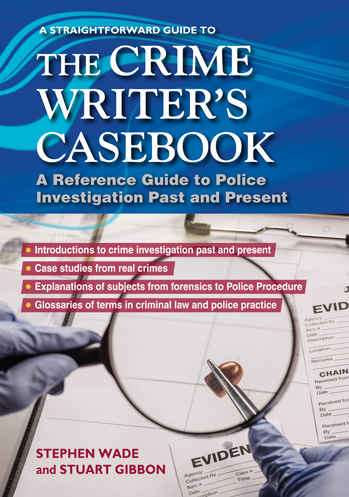 A Straightforward Guide to The Crime Writer’s Casebook is a reference work for all crime writers, and is a fascinating companion for research into modern police procedure and historical crimes which had limited forensics. The book is unique in presenting the topics by means of both first-hand explanations by a London police detective and a crime historian. There are also glossaries explaining legal terms encountered in crime history and of modern police work. A litigant in person is where somebody represents themselves in legal proceedings. It could be an individual acting without legal representation or it could be a company that acts for itself without lawyers. In recent years, there has been a significant increase in the number of litigants in person. 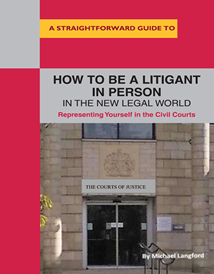 This book aims to provide not only practical advice on how to act for yourself and present a case in court, but also to set out the basic principles of law and procedure in areas that a litigant in person may encounter. Information is given on some of the commonly encountered aspects of the law to ensure that a person acting for themselves has a basic understanding of the legal issues so that they can make a reasoned decision as to whether they have a cause of action and if they do, should they pursue court action. That does not mean that legal advice should not be sought, because in most cases a consultation with a legal professional is essential before embarking on any significant legal action. What is a litigant in person? Why have more people started representing themselves? Vexatious litigants. Can a litigant in person claim costs? The Author: Michael Langford is a lawyer with considerable experience of civil litigation. Without a doubt, one of the biggest headaches for all business owners is the issue of taxation and making sure that the correct tax is paid when due. 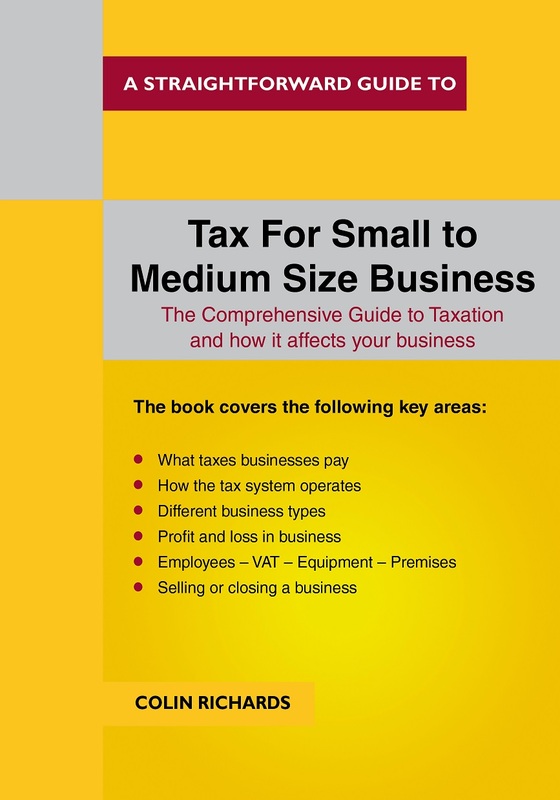 This comprehensive guide to Business and Taxation is an up to date guide to all of the issues concerning the operation of business and how taxation affects the operation of a company. It deals with all areas of tax, from an outline of the tax system to what should be paid and when. The Author: Colin Richards is a qualified accountant. he has previously written A Straightforward Guide to Bookkeeping and Accounts for Small Business. Our very own Managing Director, Roger Sproston, spills the beans, tells his own life story! 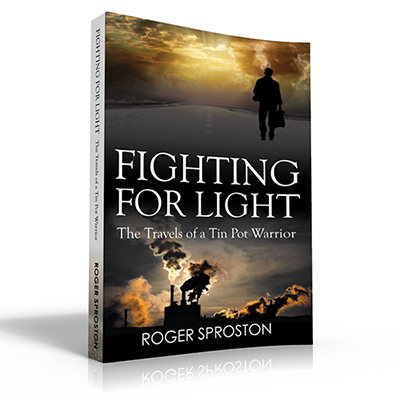 Fighting For Light, The Travels of a Tin Pot Warrior is a book about one of the thousands of people, given the chance, who upped and left backgrounds offering very little in the way of hope. They headed, like a herd of Wildebeest, for the promised-land, or the illusion of the promised-land, some making it and others not. 'What to Expect when You go to Court'. We're pleased to have Nicholas Corder back with us giving us the benefit of his vast teaching experience. Nicholas Corder has written a second book with us, the first being a specially commissioned novel, The Bone Mill, aimed at teenage readers, and published by Emerald, our imprint. 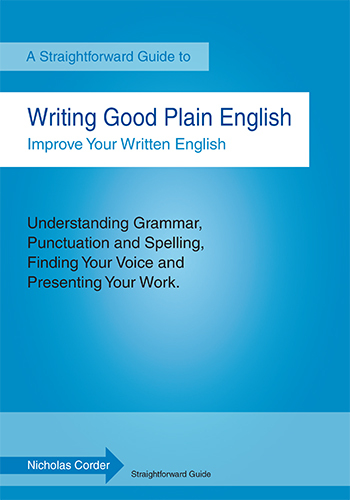 The new book is 'Writing Good Plain English' and the author brings his many years of teaching this subject to this title. It is written in concise, accessible sections, a good-humoured book that explains clearly the essentials of writing good, plain English. Corder takes you through the entire writing process - from initial idea, through planning, writing, revising and proofreading to the eventual presentation of a piece of writing. The book recognizes that writing is not a skill that comes naturally to all of us. It concentrates on helping you to develop as a writer and deals with the pitfalls and problems of trying to write good English. New to our Business section. A new author, Paul Welwyn, has started with us with two interesting books. 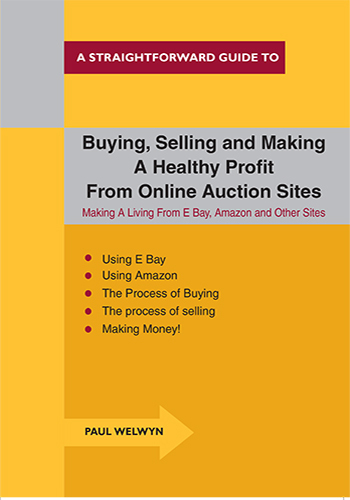 One is a guide to auction websites, particularly ebay and amazon - Straightforward Guide to Buying, Selling and Making a Healthy Profit From Online Auction Sites(e.g.Ebay) and to complement this a book to help get your business online - Guide to Starting an Online Business, both are in our Business section. Paul Welwyn is an IT professional specifically advising people how to set up online trading companies and how to exploit the market place. We expect both his books to do well. Recent titles in our Personal Finance section. 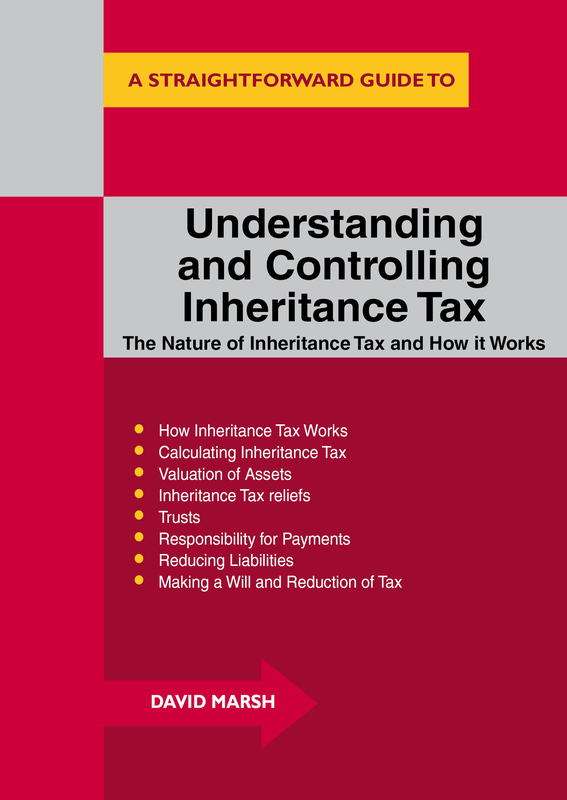 ''Understanding and Controlling Inheritance Tax is another Straightforward Guide published last year. 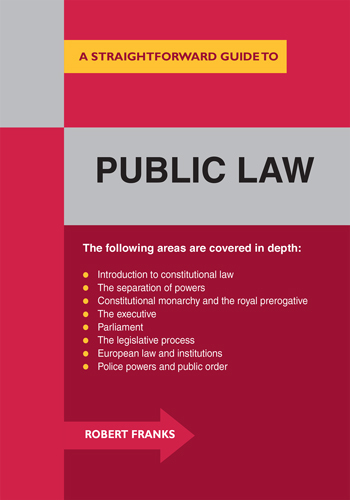 The author David Marsh has written for us before and hopes that this currently topical area of law will be of interest to our readership. David is a specialist advisor in the areas of inheritance tax and capital gains tax. Don't understand the vaguaries of the Stock Market? 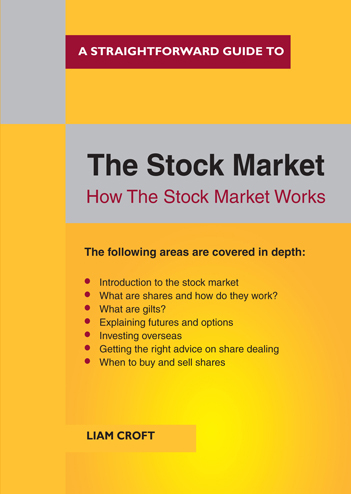 A Straightforward Guide to the Stock Market, How the Stock Market Works, is a concise and practical guide to the UK stock market, how it operates and what its purpose is. The book explains the different types of stocks in the market and looks at the short and long term benefits of share ownership. • What is the stock market and how does it work? • What are futures and options? The author: Liam Croft is a lecturer in economics. He has extensive knowledge of the stock market and its machinations and has contributed articles to a number of trade magazines on the world economy. He brings his considerable experience to bear in this concise and clear guide. Give Me Your Money - why is this book so popular - recession? 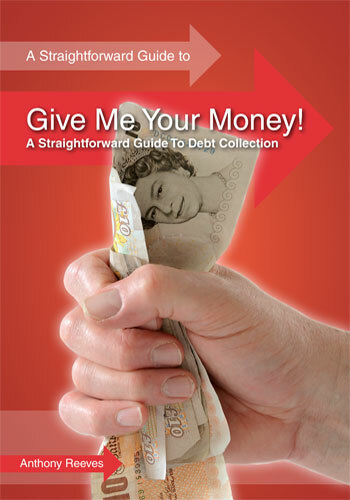 Last year our most popular book was 'Give me your Money - A Guide to Debt Recovery' by Anthony Reeves. Why this is popular is probably as much to do with the state of our economy as it is our marketing. Small business obviously needs a good guide to the collection of debts and the surrounding legal framework - and the author competently provides this. The book was also used in a promotion for a well-known business magazine - so this promotion was designed to improved its sales figures. This is a marketing potential that Straightforward is currently progressing in some detail - our books lend some credence to both magazine publication and also to certain websites. A Straightforward Guide to Debt Recovery, by Anthony Reeves. 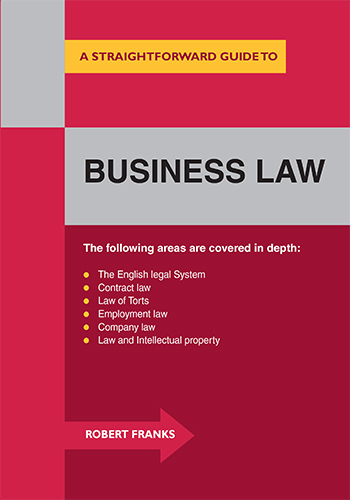 The author of this book, Anthony Reeves has written numerous legal books for the lay person. He is a specialist in debt recovery and is a member of the UK Institute of Legal Executives. 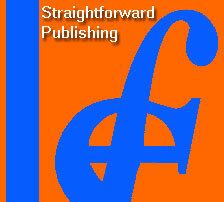 The publishers, Straightforward Publishing, have published numerous titles under their Straightforward Guides series. The expression it does what it says on the tin springs to mind when reading this book. It is a straightforward guide to debt recovery No bull just facts. If you had no knowledge of debt collecting and read this book you would, at least, have grasped and appreciated the basics of sound credit control and collections. Collections. It is an interesting and thought provoking essay on recent changes as a result of the UK Woolf Reforms and, also, suggested changes in legal procedures in debt collections. The author argues that "a more efficient court system would encourage creditors to pursue debts through the courts". Throughout this book there is good advice on the various areas of credit collection and credit control, what one should do in particular situations and, very importantly, what can go wrong. Invoice layout is mentioned. This is an area that is neglected by many companies The legal steps in debt recovery are clear, logical and informative. The judicial process is different in the UK but the approach and pre-trial steps are similar - can you prove the debt? I enjoyed reviewing this book, I liked its no bull approach, its easy style and, most importantly, the vast amount of information it gives for such a small book (109 pages). Permissions for use of copy from any of our books is handled through PLSclear. Turnaround Publisher Services - our distributors since 1991. 4edge limited - Our current printers. Straightforward is always looking for new authors - particularly in the fields of health, business, property, education, and, of course, law and the rights of the individual. If you are interested in publishing with us then please - in the first instant - download our author information. Please feel free to contact us - see our contact page.